The City Builder Book Club is an online reading club about cities. For the 2015 edition, the CCE is teaming up with Cities of Migration to coordinate a guided reading and global discussion of Doug Saunders’ Arrival City. In addition to weekly blog posts by a cast of international contributors and a lively online dialog, the Book Club will host a series of interactive events, both online across the globe and live here in Toronto. This week, the City Builder Book Club held its first live event to kick of the Arrival City edition of the club: Arrival Cities: Global Framework + Local Discourse, with Arrival City author Doug Saunders and activist, researcher, and HIGHRISE film collaborator Emily Paradis. 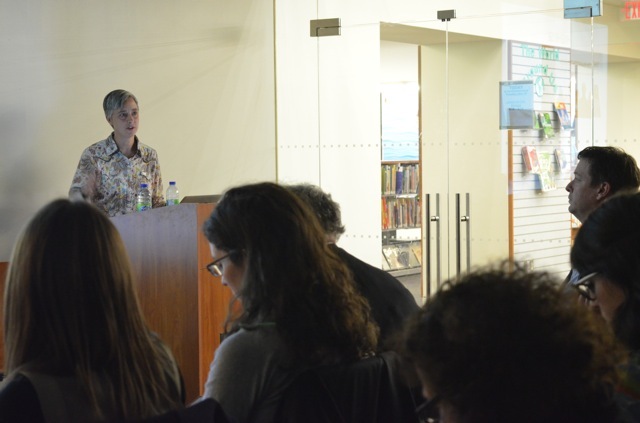 Over on the City Builder Book Club blog, CCE volunteer Anna Wynveen recaps the evening, providing an overview of the event and an analysis of the takeaways.